Achieving climate justice is increasingly recognized as one of the key problems associated with climate change, helping us to determine how good or bad the effects of climate change are, and whether any harms are fairly distributed. The numerous and complex issues which climate change involves underline the need for a normative framework that allows us both to assess the dangers that we face and to create a just distribution of the costs of action. 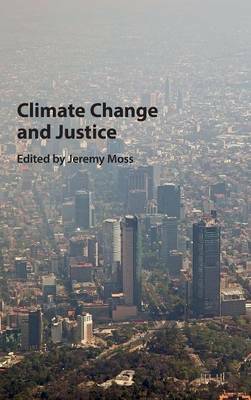 This collection of original essays by leading scholars sheds new light on the key problems of climate justice, offering innovative treatments of a range of issues including international environmental institutions, geoengineering, carbon budgets, and the impact on future generations. It will be a valuable resource for researchers and upper-level students of ethics, environmental studies, and political philosophy.